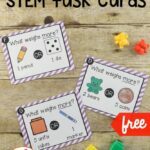 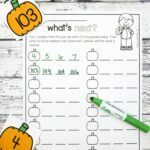 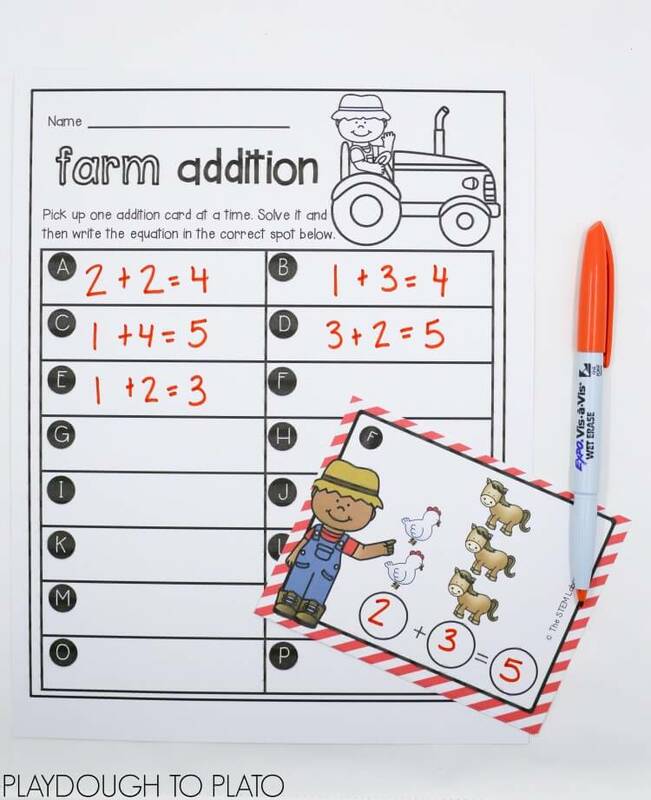 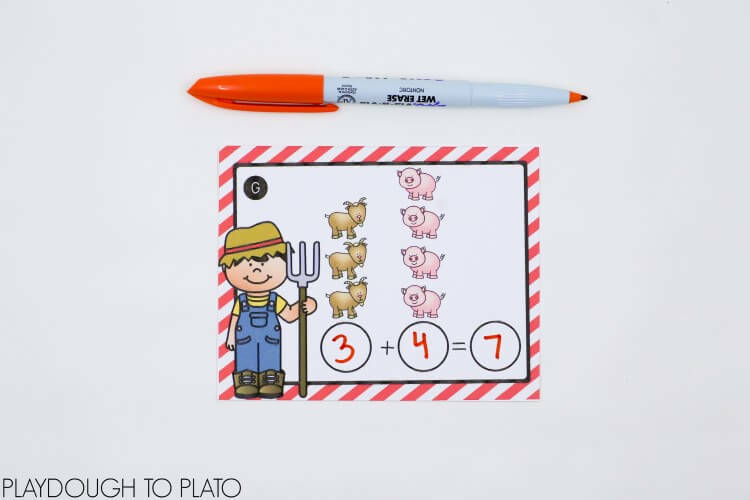 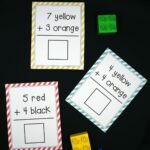 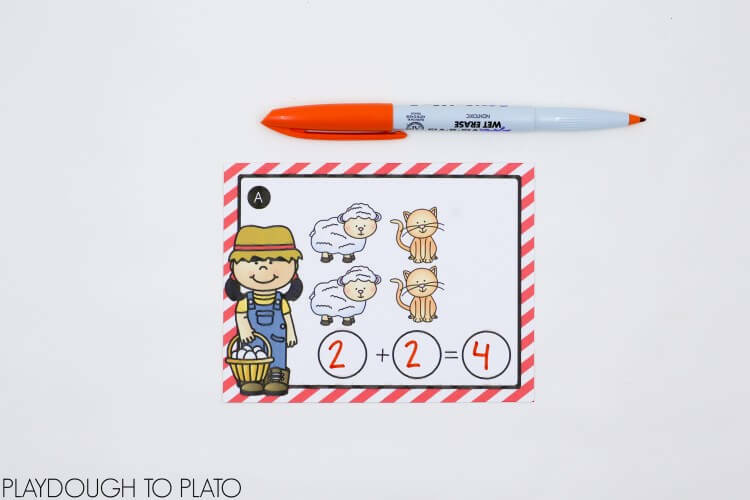 These farm-themed write and wipe cards are such a motivating way to teach kids how to write and solve addition problems! 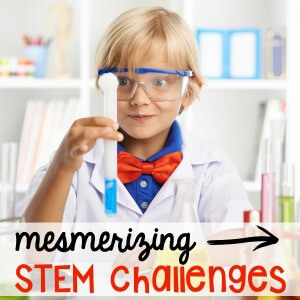 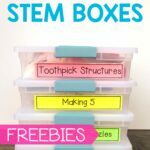 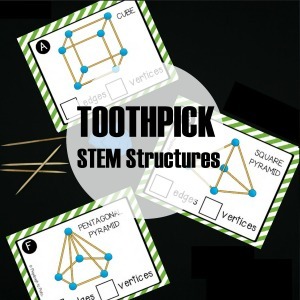 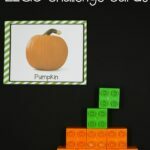 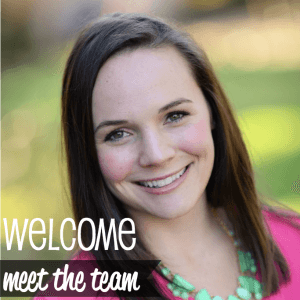 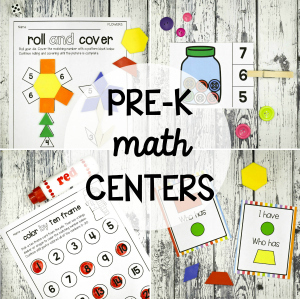 With just a few minutes of quick prep, you’ll have a math center kids choose to practice again and again. 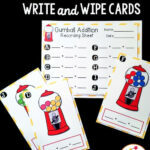 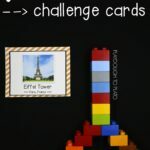 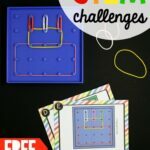 Grab your free cards below and then hop over and snag eight more addition sets in our shop or on Teachers Pay Teachers! 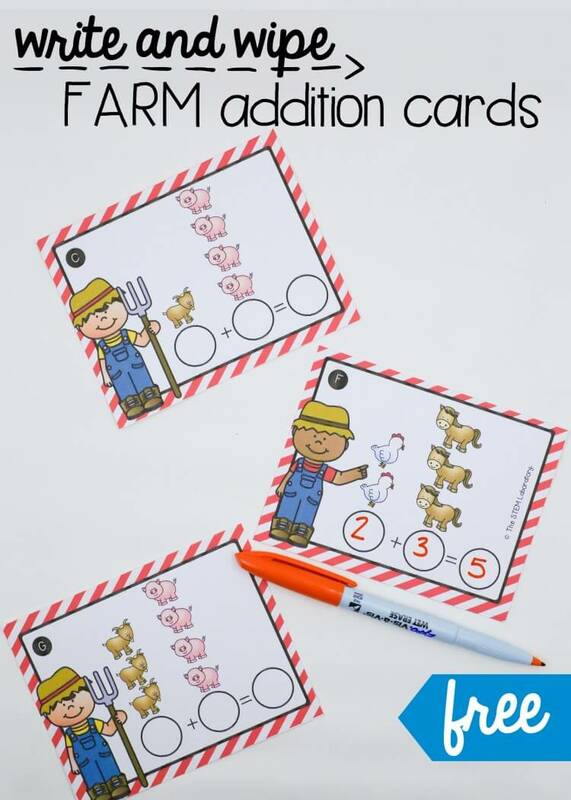 Click the blue button below to snag your copy of the farm addition cards (you can grab the complete addition card pack here!) 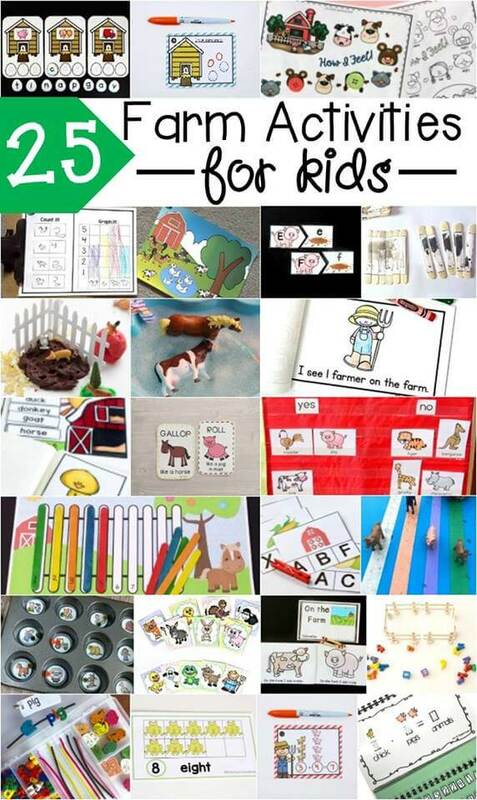 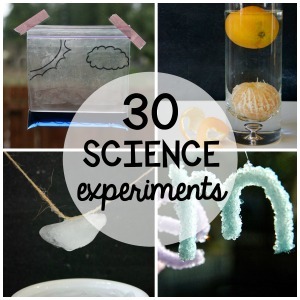 and then keep scrolling to check out more farm activities kids love below.